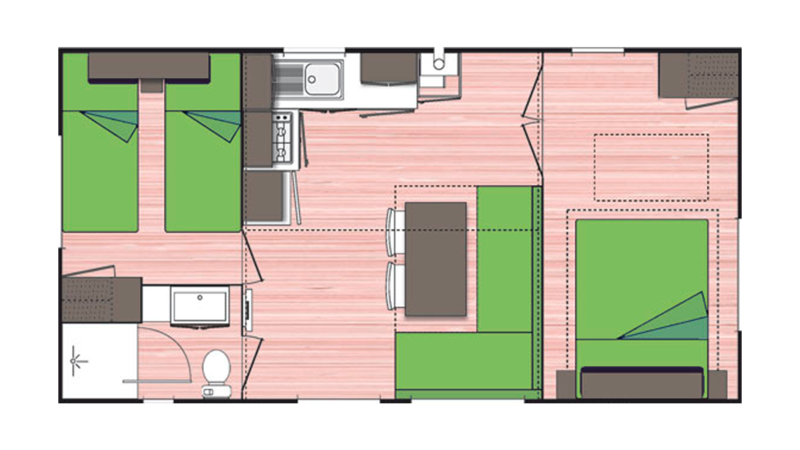 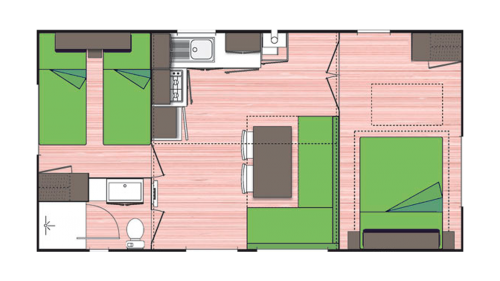 These mobile homes of 3m wide for 5 persons are installed on shady pitches of about 100 m². They have all the necessary comfort for a pleasant holiday. 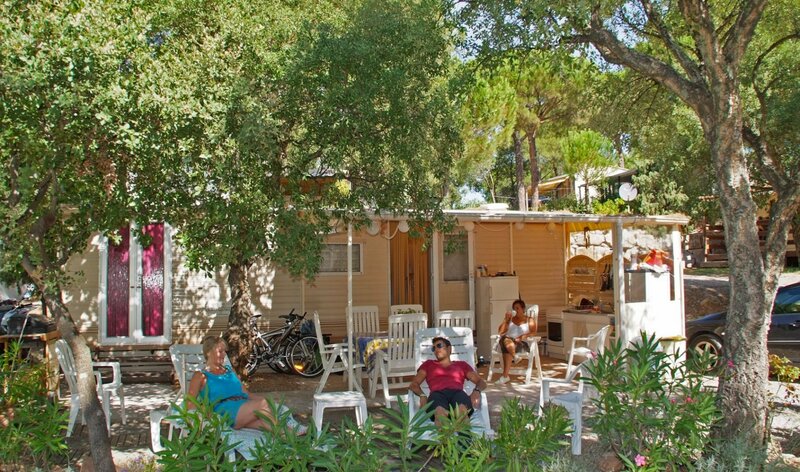 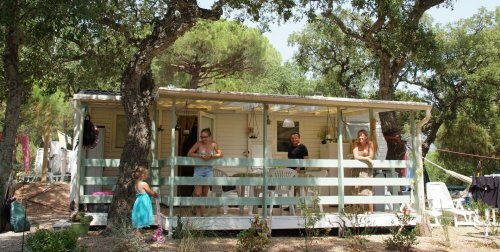 All these mobile homes have an equipped kitchen (fridge, 4 burner gas hob, tableware for 5 persons, microwave), a bathroom (shower, washbasin, toilet), 2 bedrooms and a lounge. 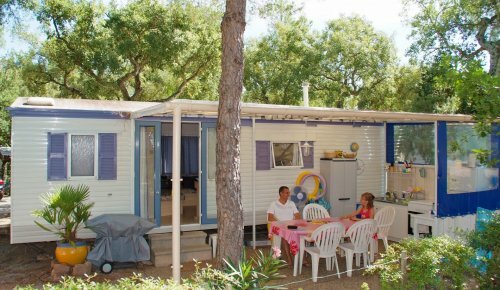 To enjoy the sunny climate of the Var, all of these mobile homes have a covered terrace, an outdoor kitchen and garden furniture.